Happy Halloween! 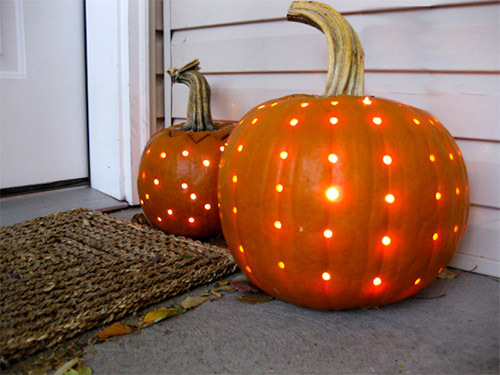 Have you decorated your business or your home for Halloween this year yet? 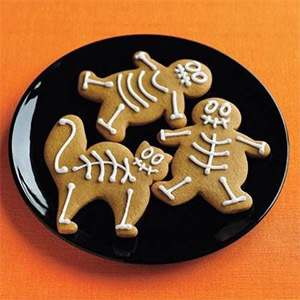 As a yearly tradition this newsletter all about are quick and creative ideas to decorate for Halloween. Let me know if you use any of these tips. These and other interesting designs ideas can be found on our Blog. In our Green News corner, we have great news for everyone! The price of LED light bulbs (which can last for over 20 years) has dropped drastically to just under $10! Enjoy the savings! For us who are feeling overwhelmed and don't have the time to decorate this year, following simple Halloween decors are the best way to go! If you missed it, read our newsletter on Latest Tends in Commercial Interior Design of 2013. You will see some of the 'hottest' colors for this season. Also, don't forget to take a look at new additions to our interior design and branding portfolio HERE. 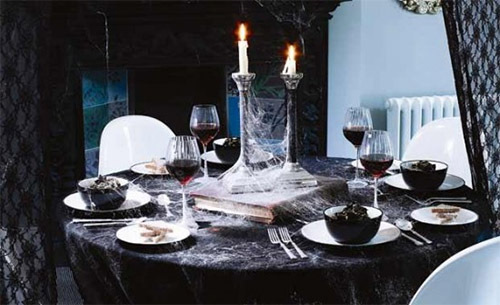 One of the simplest and cheapest ways to decorate for dinner this Halloween is to use black sheets to cover your chairs and tables. You can also use fake spider web to wrap around candle holders and other objects around your room to make it looks spooky this yet. This trick can also be used for your office or your office party dinner. 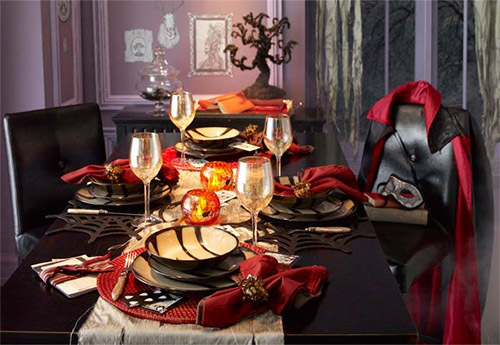 You can go even fancier and through a vampire's cape on one of the chairs and a few red napkins on the table. 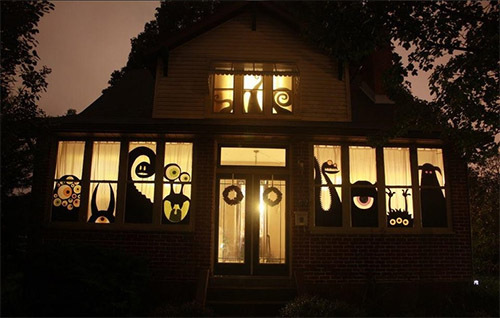 Don't forget about windows this year as your main focal point for passing by kids on that special Halloween night. 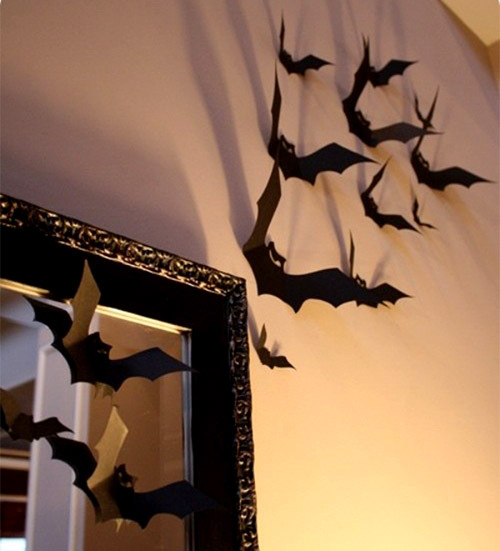 This decor will not take you that long if you know how to draw and how to use scissors. Run All the Way Up! 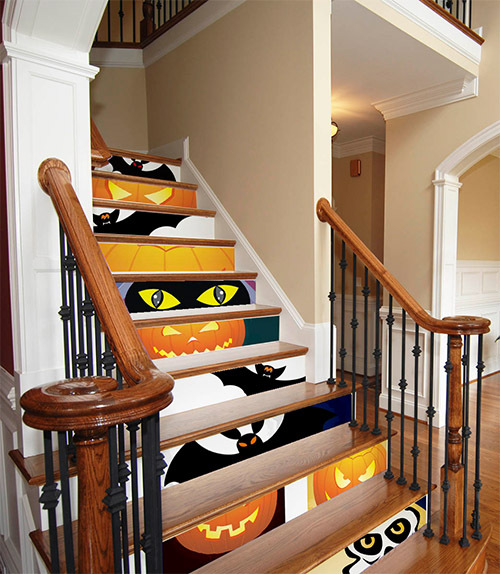 Your stairs can become a great place to display some Halloween decor as well. Take a look at this colorful idea below. Who has time to carve a pumpkin this year? If you do I am envious! I found this really creative idea on how to have something fast but still fascinating on Halloween night! This one is my favorite trick to bring everyone into the spirit. All you will need is black paper and some empty corners around your house or office. If this is not enough Halloween ideas, here are some more tips for quick Halloween decor from an older newsletter. Happy Halloween everybody! Great News! 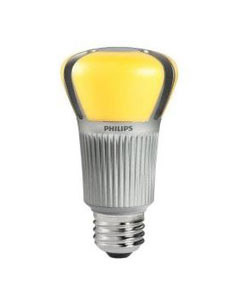 A bulb that not long ago retailed for $45 can now be had for under $10 (three pennies under $10, but still...) Philips says its LED bulb costs just over one dollar year to operate, and could last 20 years, making it a bargain for the long haul even at $45. But the sticker price has suppressed sales, and now consumers can get one for under $10, through a partnership with Home Depot. Read more HERE. Copyright © 2013 Mindful Design Consulting. All rights reserved.